The phrase ‘run for your life!’ makes sense somehow, because most people wouldn’t choose running unless their lives were at stake. It’s tiring, competitive and usually takes a long time. However, the benefits of running cannot be overestimated. It helps you lose weight, builds muscle and stamina, and gets you into good mood… When you succeed in catching your breath. But what about keeping the benefits of running and avoiding long and tiring disadvantages? Try sprint workouts for speed – they are just as great in training your whole body in short periods of time. While in summertime the city is full of runners, seeing someone going at full speed is not so common. Why take up this seemingly strange exercise? Well, short and intense running workouts provide great benefits for your overall health – and it’s based on evidence! Cardiovascular health. There are all kinds of cardio exercises – aerobics, flash workout, cycling… And a strong heart should be rather a necessity that a luxury. But it’s so hard to find time to exercise regularly!.. Recent studies have shown that six sessions of short sprints are just as effective in improving your heart fitness as an hour of aerobic exercise every day! Seems like endurance levels should be more influenced by long, steady exercises. But turns out that the cyclists who have taken up sprinting have shown to have twice as much endurance as before! Lose weight and build muscle. Just as interval training, taking up exercises for sprinters will get you in shape faster than longer moderate exercise. I suppose it’s worth to feel slightly strange for a short period of time, dashing at full speed amongst the joggers at the city park – with improved strength and endurance you will have the last laugh. Short and intense, this is not the easiest exercise and you have to be prepared before you take it up. In order to avoid any injury, there are a couple of things to consider before you start – and a couple of techniques to help you prepare adequately. Consider your general health. 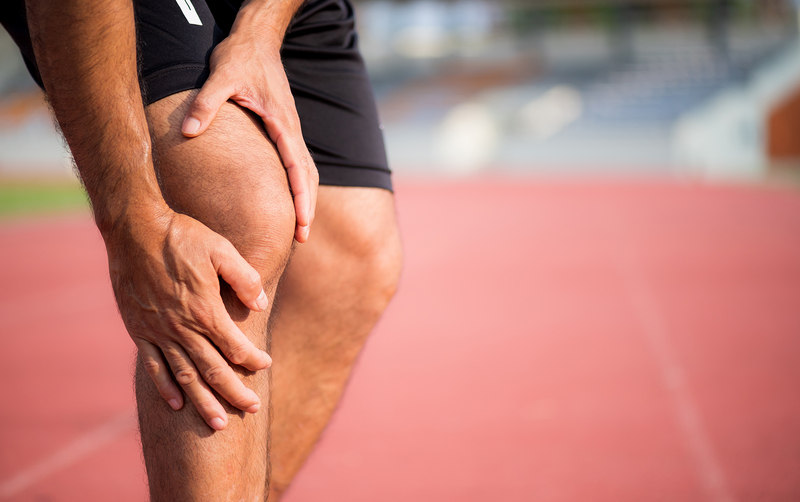 Do you have a heart condition or joint problem? Do you tend to get dizzy or get pain in your chest while exercising? If you’re unsure about any of this, you should definitely consult your doctor before taking up such an intense training. Build a base level of fitness. I know, after all the benefits listed, we’re telling you to go back to some regular endurance training. But you do need to have some muscle and mobility in order to avoid injury. Warm up before. 10-15 minutes of squats or jumping jacks are enough. But you need to get your muscles ready for what’s coming! Avoid going on pavement. While the pavement might be acceptable for running at a slower pace, we’re talking about a much more intense exercise and the probability of damaging your joints is higher if you do it on pavement. Try to go more natural (grass, footpath) or more adjusted to running (artificial turf, track surface). While your limits and movement range are still unclear to you, you must prevent your body from lunging into long strides. Overstriding can lead to pulling the hamstrings in front of your legs, and you don’t want that, especially so early in your routine! Going uphill prevents you from that: your steps are smaller and the challenge is still there. Also, remember that you don’t have to start with your full intensity and speed. In fact, during the bulk of your workout you should only use 70%-90% of your full speed. And don’t try to break through fatigue – listen to your body. 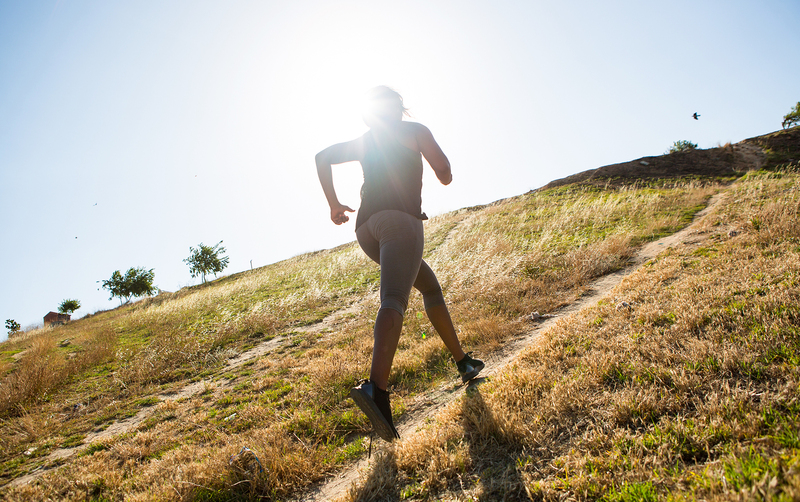 For the first couple of times that you run uphill, try doing 5 rounds of about 75% of your maximum speed, with short resting periods between them. Add one or two rounds after a couple of weeks, when you feel more comfortable. If you’re not completely new to this type of exercise, you should try one of the best sprint exercises for speed – running downhill. 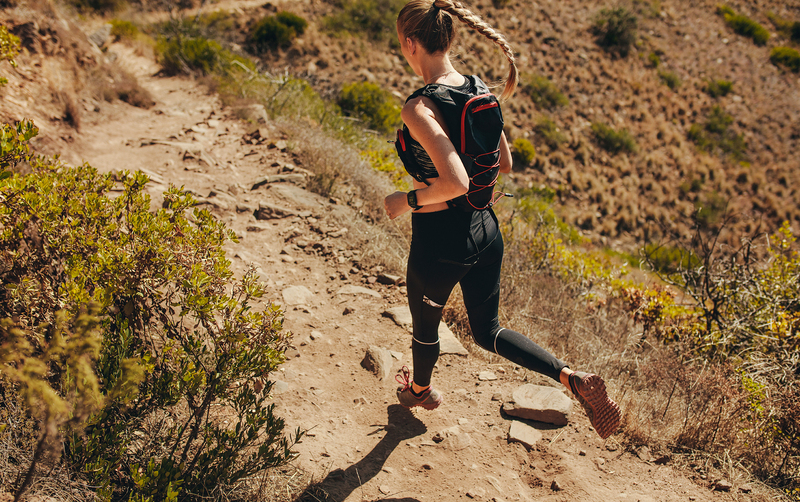 The muscles that contract when you’re running downhill are not usually trained in any other exercise, and this helps you to build more muscle power and makes you faster. You must be very careful not to overstride or land on your heels while doing it. If you feel all wobbly when running downhill, you should go back to strengthening your body before you retake this exercise. Try running about 100 meters of 70% of your speed downhill, then jog back uphill afterwards. Complete 6 to 8 cycles of this and add a couple of additional sprints every week. 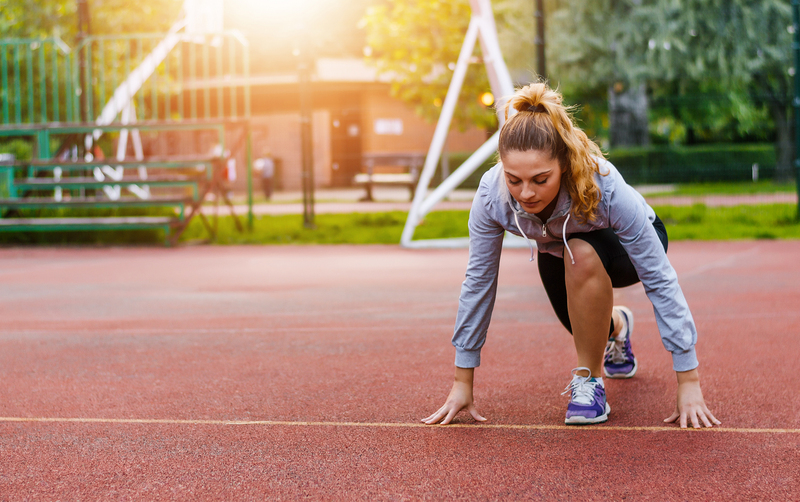 Whether you’re a beginner who wants to build strength and stamina in a short period of time, or if you’re experienced runner with a goal to get faster, sprinting in short distances is a great way to stay in shape. There are some dangers in this challenging exercises, but if you do it with care, you’ll start seeing results in just a couple of weeks!